Do not buy the physical copy. We intend Silience to be a free tool for everyone to read and be a part of. 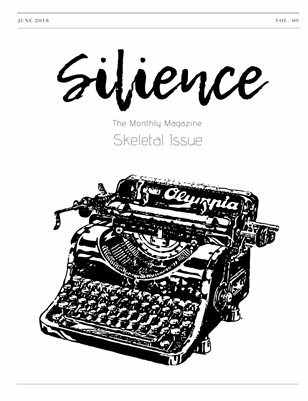 Silience is a community run magazine which will be working with the writers as an integral part. Each issue will be written by writers for the writers. Featuring sections about writing tips and writing related news, this issue is just the introduction or the bare framework for the magazine. This issue is not what the magazine is but just a sample for you to look at.